While shopping for a docking station for your Android device you have probably seen that the market of Android accessories such as docks is smaller than one for iOS devices. This would not be such a surprise unless Android was dominating the worldwide smartphone market and there were over 7 times more Android devices shipped in Q3 of 2014 than iOS devices. We have looked at various aspects that impact the choice of many companies that produce and sell smartphone and tablet accessories to make their business around iOS and not Android accessories market. When comparing the Android and iOS accessories market we put a lot more attention to the docking station market and much less to the market of other Android and iOS accessories. Here’s the summary of the information we could gather. There is also a presentation with the summary of information found in this article a the bottom of the page. This is the main problem with Android devices when talking about accessories. For iOS devices everything is simple, there was a single iPhone release each year (until the iPhone 5) and manufacturing of accessories for these phones is pretty simple. This is not the case with android market. As we know, android market consists of many manufacturers and each of these manufacturers are producing multiple different devices each year, which makes the Android smartphone and tablet market grow quite rapidly. Make a product specific docking station. For example, a docking station just for Samsung Galaxy S5 or Google Nexus 6 smartphones. However, this approach will be successful only for the most popular smartphone models year with the largest market share in a given year, and will probably need a product redesign for next year’s models. There aren’t any docking station manufacturers that have tried the first approach, at least from those that we know, as it would simply be impossible with the rapid growth of the Android smartphone market. But many manufacturers are using the second approach to produce a “one fits all” type of docking station. For example, Hale and iLuv are producing stations that can dock most Android smartphones. The third approach is also quite common and can mostly be seen for smaller charging docks. Because these docks usually are cheap and easy to manufacture, many companies are making different models for flagship android devices such as Samsung Galaxy S series, Google Nexus, Motorola Moto X, HTC One, Sony Xperia, LG G series and others. Again, these two problems follows from the fact that there are so many different Android devices and each manufacturer can place a Micro USB port somewhere else on the phone, as well as position the Micro USB port in different direction. 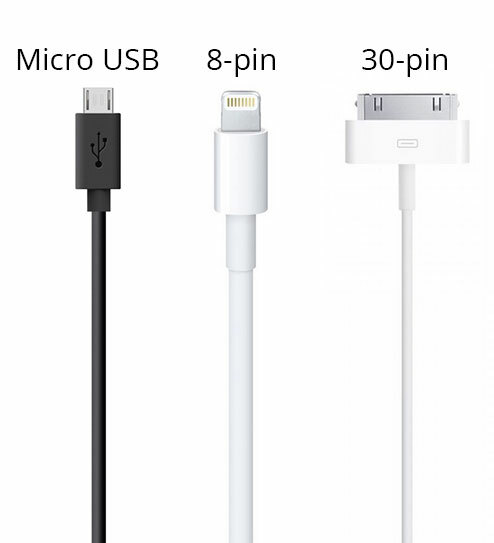 As you may know, 30-pin or Lightning port allows docking the cable in any direction, while Micro USB port accepts the docking cable only in a certain direction. Also the charging port of all iPhone or iPod touch models is located in the middle on the bottom of the phone. Because of this, iPhone docking station manufacturers have much easier time planning and implementing a successful design that works with all models. On the Android side things are much less smoother. Unfortunately each Android smartphone manufacturer has different vision where it would be best to place the Micro USB charging port. For example, on some HTC smartphones you will find the charging port to be on the bottom part on the right side of the phone, while some Samsung models have Micro USB port on the top and others on the bottom of the phone. All those different port placements give manufacturers of android accessories a lot of problems designing a docking station that will fit most of these phones. A universal android docking station must have a Micro USB dock that will fit smartphones in both landscape and portrait orientations with a Micro USB socket placed in the middle or closer to the side of the phone, and at the same time taking into account many different sizes and weights of those phones. From the other side, manufacturers making docking stations for iOS devices have much simpler task to design their products to fit devices with 30-pin or Lightning connector that is located on the bottom of the device of all iPhones, iPads and iPods. Micro USB (most of the time) is not capable of transmitting audio and is used just for charging and data transfer functions, while Apple 30-pin connector allows transferring audio, data and charging functions with the same cable. There are also an adapter that transfers 30-pin connector to 8-pin so the same audio transfer function can be used with all iOS devices. Also, most iOS docking station come compatible with devices with either a 30-pin or 8-pin connection ports and provide high quality audio transmission form an iPhone or iPod to the docking station through the Lightning connector. As Micro USB is not capable of transmitting audio, android docking stations are equipped with either an Auxiliary port, which means using an addition cable for audio streaming, or provide a wireless audio streaming using a Bluetooth technology, which in some way eliminates the purpose of a docking station itself. If we want to have a full picture of both markets we need to go further away from the hardware side and inspect the characteristics of both iOS and Android smartphone users. Based on the data of appannie.com in Q3 of 2014 the total number of downloads on Google Play store was 60% higher than on iOS App Store, which can be easily explained as there are a lot times more Android devices than iOS devices. However the interesting part is that the total revenue from iOS App Store is approx. 60% higher than the revenue from Google Play Store. What this tells us is that the average iOS user is likely to spend a lot more money for additional features (premium applications in this case) for their devices than the average Android user. Also, you can get a new and cheap Android smartphone, but you cannot buy a new and cheap iPhone, so not everyone can or want to pay the high price for an iOS device. And this case somewhat applies also to the smartphone accessories market. And this situation can be also been seen in the docking station market. Most iOS docking stations have better build quality, more functions, better reviews and, of course, a higher price. Although I must note that some manufacturers such as Samsung and LG have made docking stations compatible with both Android and iOS devices that have successfully entered the docking station market. 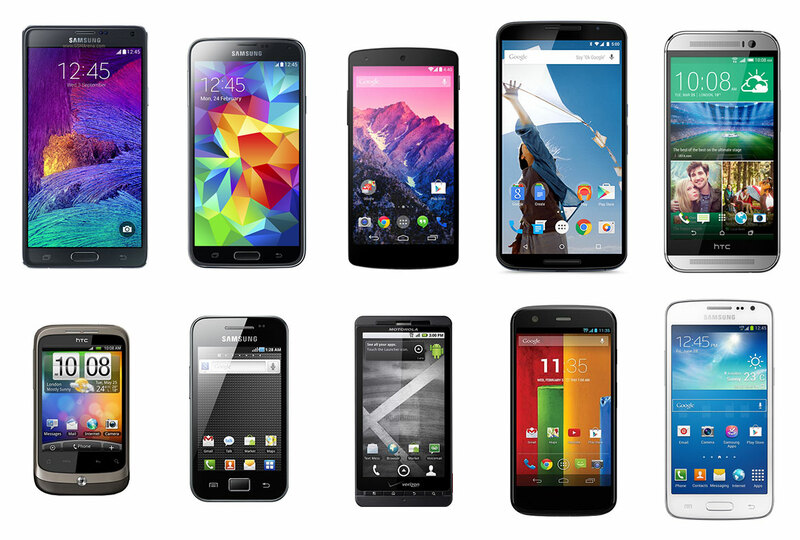 The behavior and mindset of the average Android user as well as many different Android devices from lots of manufacturers with varying sizes, weights and port placements and a lack of an audio transmitting feature of Micro USB connector are making it difficult for android docking station manufacturers to make a device that suits everyone’s taste and at the same time is affordable for most Android smartphone users. The good part of this is that Android market is changing from a doubtful open source platform used by few manufacturers some years ago to the most popular platform for mobile devices, which has become a lot more mature, beautiful, faster, safer and in other ways batter with each version of Android. Smartphones and tablets using the Android platform are also improving and users are willing to spend more for a quality device as well as for useful applications and also accessories for their devices. This certainly helps those manufacturers that are making docking stations for android devices to continue designing and producing new products, as we will definitely continue to see a growth in Android smartphone market in the following years, which means growth of potential customers in the docking station market. What’s the nearest future looking like for the android docking station market? Actually pretty good. Recently the new type-C USB 3.1 connector was introduced. This new USB connector allows Bi-directional connection, which means that you can plug in the cable in any direction, same as with Apple’s Lightning connector. This will allow much faster and smoother docking of your smartphone or tablet into a docking station, and will ease the design process for docking station manufacturers a bit, as they will not need to manufacture a rotatable connector to fit different micro USB port directions found on android smartphones. 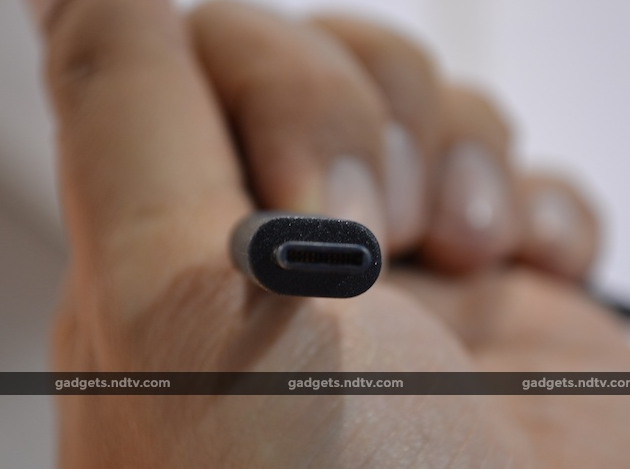 Type-C USB will also allow much faster charging for mobile devices and will also provide charging possibilities for laptops. And as each USB connector update, USB 3.1 will provide 2 times higher data transfer speeds than previous USB 3.0 cables. Why Android still loses to iOS in the Accessories market a slideshare presentation.